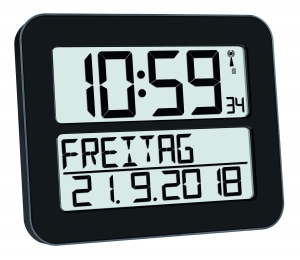 Modern design and an innovative display are combined in this radio-controlled wall clock "DIALOG REFLEX" from TFA Dostmann. 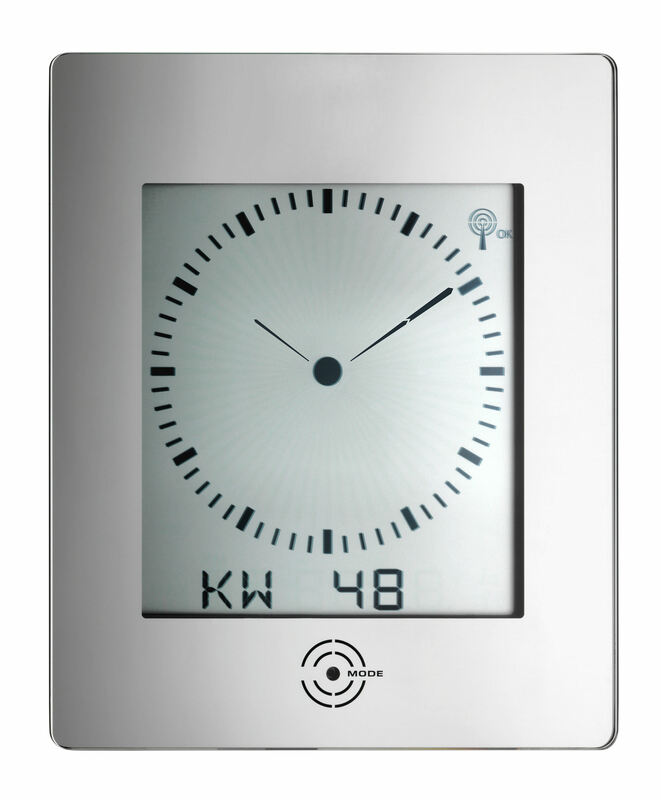 The central focus is the analogue dial, on which the current time can be read with hour and minute hands. As a special feature, the seconds are shown continuously in circulating display. 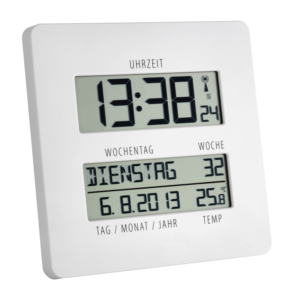 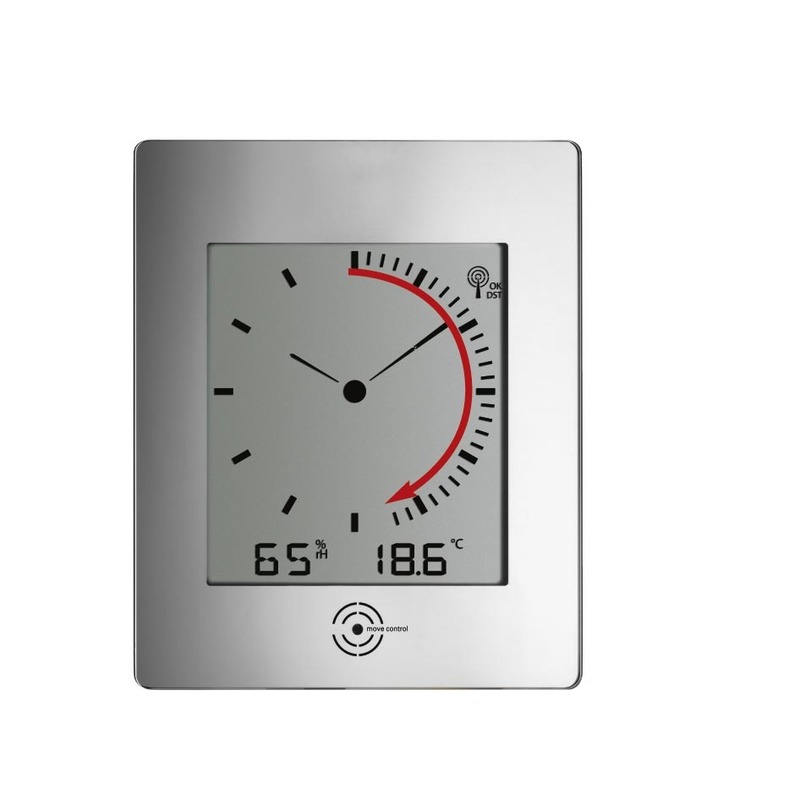 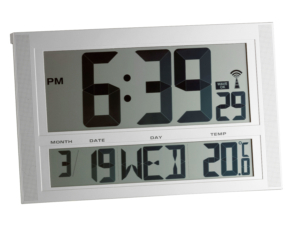 The digital display of the date and day changes to indoor temperature and humidity, calendar week or digital time via a sensor button. 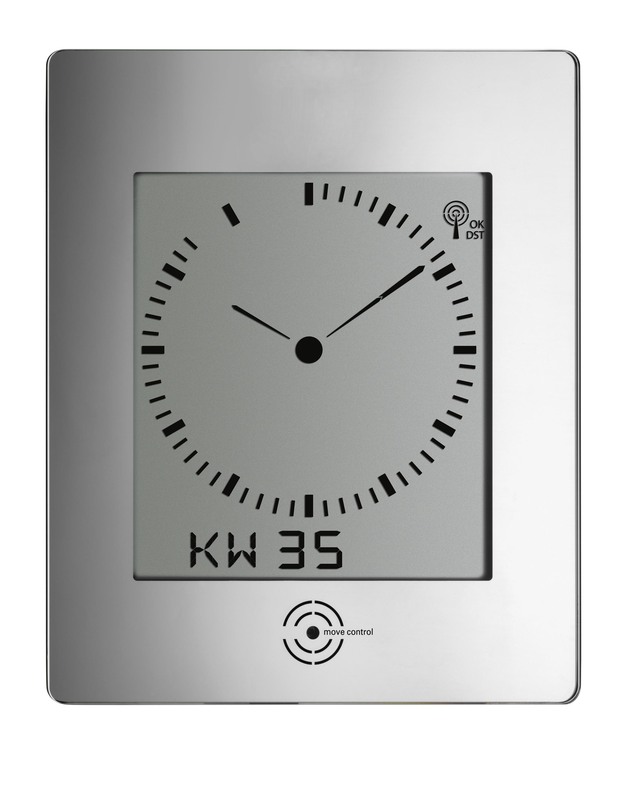 The elegant mirrored frame completes the high-quality character of this radio-controlled wall clock. 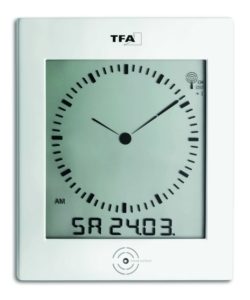 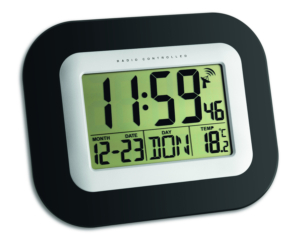 The TFA radio-controlled wall clock "DIALOG REFLEX" receives the time via the DCF 77 signal. 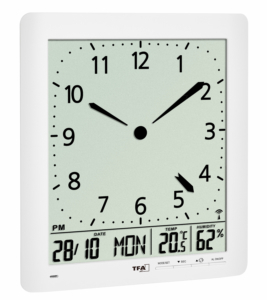 This means you always have an accurate, up-to-the-minute view of the current time and date, thus eliminating the need to switch from summer to wintertime.